Today we went to an International show just 1 hour from home. We had entered just Rocky to the show. The whole family went. 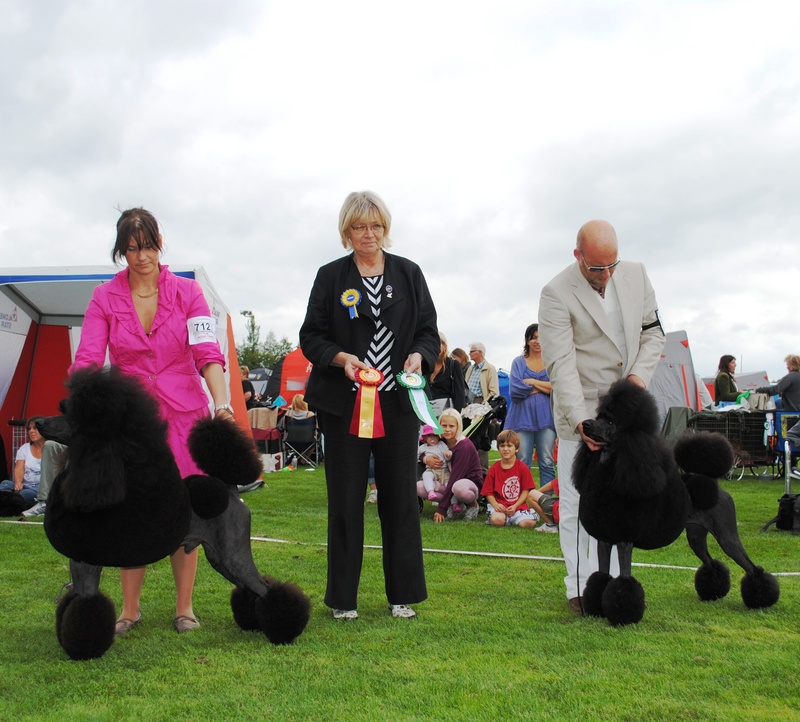 The breed judge was Mrs Birgitta Hasselgren from Sweden. Rocky went BOB and his halfsister Ch. Avatar Jaquetta got BOS. In the group we had Mrs Soile Bister from Finland, I had a great feeling before the group that we shouldt get a good place. And we didt get any place. Though congratulations to Catalina Gustafsson with the Toybitch Ch. Rusch Mix Always on My Mind, Greta who won the group! Neither the Welsh Corgi or Foxterrier got placed in the group. 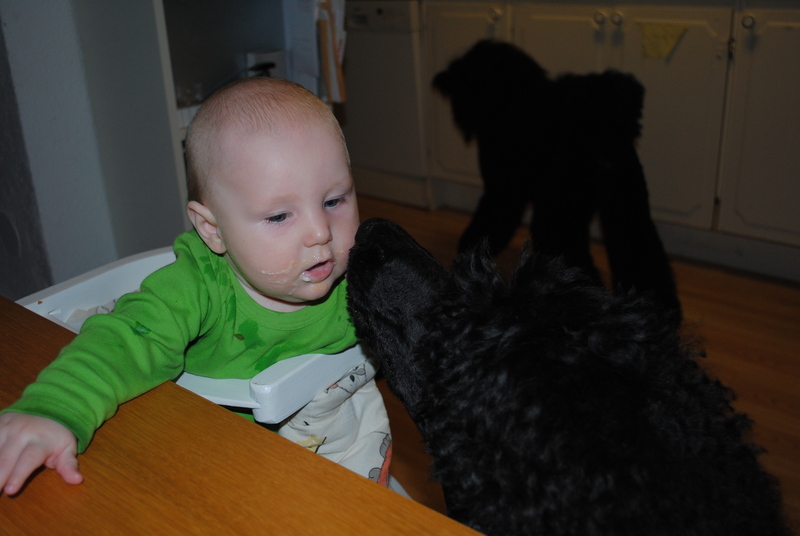 At home Kira tried to help William with his food, they are soo lovely with children the Poodles, so good they are and responsible with them. I can help you to eat! Cross fingers for tomorrow… more to come. Good Night!